I don’t know about mellowing, but the concerns I had 10 or 20 years ago I don’t have any more: wanting fame, or wanting people I’ve never met to have good opinions about me. The world is filled with people who’ve lost a degree of fame and spend their life in bitterness. Thankfully, I’m pretty sanguine about the fact that my fame and pop-culture relevance has waned a lot. What was the impetus behind your new album, These Systems Are Failing, and associated ‘manifesto’? There was something very emancipating about making records at a time when I don’t really expect too many people to buy them or listen to them. But I also like the idea of trying to use a record release to draw attention to issues I’m concerned about. There was definitely anger and frustration. In 2016 it’s hard to be a rational person and not feel frustration at what’s going on in the world. When I take a step back and I look at our species, it’s just so frustrating because we’re all behaving like such a bunch of idiots. In past generations, people did stupid things, but they didn’t know better. Our stupidity is potentially going to lead to the end of humanity and at the same time compromise life on this planet. That’s one of the reasons I’m trying to figure out ways to be a little bit more of an activist with the music I make. Your ‘manifesto’ has the line: ‘These systems were supposed to serve us, but instead they’re killing us.’ What systems do you mean? One system that has passed its sell-by date is the way we feed ourselves, [producing meat by] cycling grain through animals and creating a product that contributes to climate change, causes heart disease, diabetes, cancer, obesity, antibiotic resistance, ocean acidification, rainforest deforestation. The other big one is the absurdity of our reliance on petroleum, when sustainable energy is such a phenomenal alternative. But then you get to the more subjective systems, like how we entertain ourselves. It’s my ultimate hope that we start applying quasi-rational criteria to these things. Instead of just accepting these systems because they’re there, we could ask if they contribute to our wellbeing and the wellbeing of other creatures on our planet – or if we’re just going along with them because they’re convenient. Do you think music and art can bring about change? Everything is pushing society along in one direction or another, so I don’t see music and art as anything magically different from anything else that contributes to the zeitgeist. But sometimes a song can change the world. ‘Imagine’ by John Lennon… I believe that changed the world; it moved the needle a little bit. I can’t be so presumptuous as to say that any of my music would do that, but the goal is to wake up every day and try. 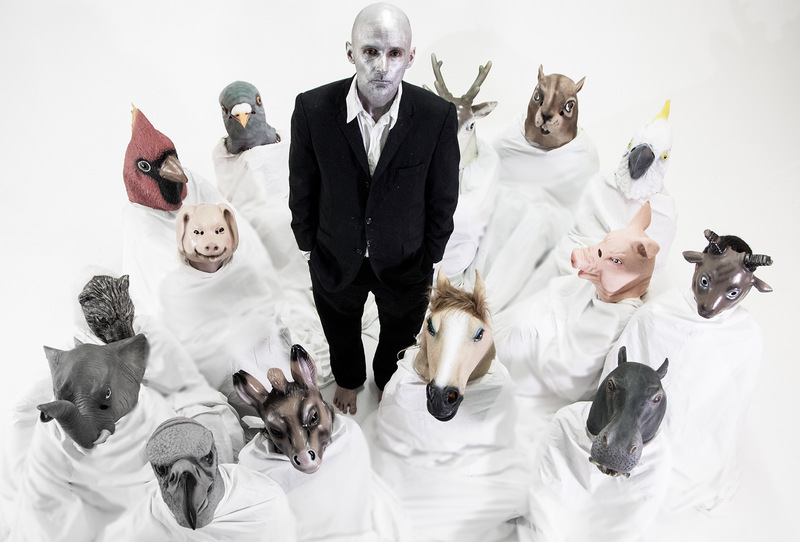 Moby & The Void Pacific Choir’s debut album, These Systems Are Failing, is out now. Moby's ‘manifesto’ can be found at moby.la/tsafmanifesto.